During his musical career, Wolfgang Diefenbach has collaborated with well-known orchestras, international soloists, major jazz composers and arrangers, such as Bill Holman, Manny Albam, John Clayton, Bob Mintzer, Michael Abene, Jerry van Rooyen, Bill Dobbins, Ray Brown, Paul Ferguson, Bob Florence, Rob Pronk, Lex Jasper and Maria Schneider, just to name a few. The versatile conductor’s extensive repertoire includes the great symphonic works and oratorios, musical productions and opera galas as well as programmes of sophisticated easy listening music and jazz together with great orchestras and international soloists. Wolfgang Diefenbach has conducted orchestras such as the Prague Symphony Orchestra, the Karlsbad Symphony Orchestra, the Romanian National Philharmonic Orchestra, the Dohnányi Symphony Orchestra Budapest, the Thuringian Philharmonic Orchestra, the Baden-Baden Philharmonic Orchestra and many others, and has performed important orchestral works from Beethoven to Stravinsky and Copland. As conductor and arranger he dedicates his time to large-scale crossover concert projects, which he has performed in major concert halls on all continents and in almost all European countries. His long-time experience in conducting symphonic works as well as orchestral Jazz and the combination of the two is meant to create and to conduct Crossover-projects (special arrangements). 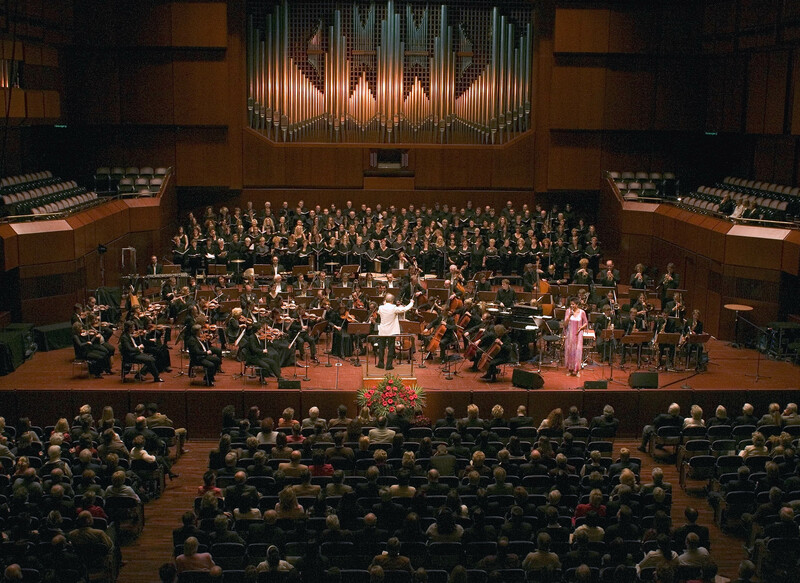 Frequently in the remarkable combination of two orchestras: symphony orchestra and Jazz big band, as seen in productions of the Dutch radio NOS together with the Dutch Metropole Orchestra. As founder and artistic director of the Hessian State Youth Jazz Orchestra („Kicks & Sticks“), he offers talented upcoming young musicians and selected winners of the „Youths Play Jazz Contest“ the opportunity of a professional big band training. More than 1.800 young musicians already made use of this and for many of them the stage appearances and international tours with the band together with famous solo-artists has been the stepping-stone to a musical career. Nowadays, Kicks & Sticks is an important part of the German cultural landscape and is considered to be one of Europe’s best youth jazz orchestras. The experienced bandleader and arranger is also directing different Jazz vocal ensembles, whose variety enable new refreshing concert styles with large ensembles, Funk bands and well-known soloists. Top-class recordings and numerous TV and radio productions document Wolfgang Diefenbach’s diversity, his high standards and his selection of musical partners. With the CD production „Kicks and Sticks“, Wolfgang Diefenbach and the Hessian State Youth Jazz Orchestra won the German Record Critics‘ Award.